An Open Access edition of this work is available on Modern Languages Open. On 12 March 2018, Mauritius celebrated fifty years as an independent nation amidst much fanfare. Yet behind the nation’s official image of multicultural ‘unity in diversity’ lurk deep socio-economic inequalities and inter-ethnic tensions that are insistently critiqued in its literature. Against this backdrop, this book analyses how the idea of belonging – a sense of attachment to, and identification with, a place or people – is problematised in a range of contemporary francophone Mauritian novels. The island-nation’s complex history and the multi-ethnic composition of its modern-day population mean that belonging is a central but fraught issue in both reality and fiction. Waters explores how diverse forms of affirmative, affective belonging intersect with, and are frequently inhibited by, exclusionary ‘politics of belonging’ at communal, national or international levels. 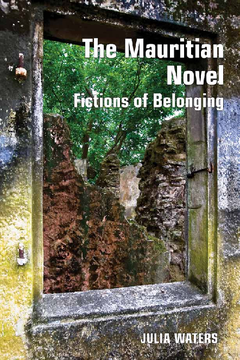 Using an eclectic theoretical approach to the central concept of belonging, Waters offers in-depth textual analyses of novels by leading Mauritian writers Nathacha Appanah, Ananda Devi, Shenaz Patel, Bertrand de Robillard, Amal Sewtohul and Carl de Souza. Despite their thematic and formal diversity, these novels are shown to be characterised by a common rejection of dominant discourses of ethnic, diasporic affiliation and by a common commitment to the ongoing, future-orientated project of Mauritian nationhood. As such, this book offers an original insight into the dynamics of belonging and exclusion in diverse, multi-ethnic societies.